The digital timer control is adjustable up to 999 seconds. 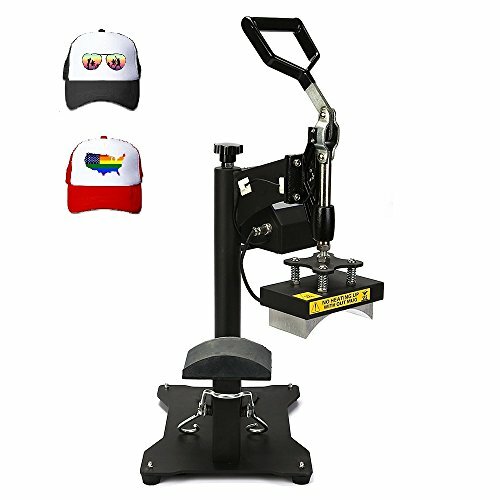 The cap hats heat press machine also features a digital temperature gauge ranging from 0 - 399℃ (about 750ºF). The manual open and close handle is easy to operate and can be adjusted with the pressure knob at the rear of the machine. Its industrial strength and durability allows for long-term use, making it a great investment with exceptional value amongst its competitors. The machine is CE certified and come with 2 years free warranty. Coated handle - Comfortable rubber grip for everyday-use and long production runs.